Independent Oil & Gas Service, Inc. 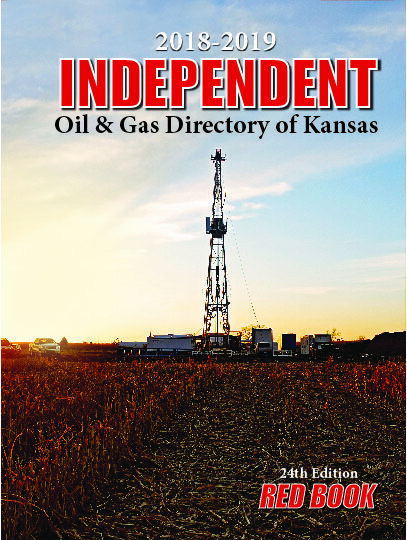 The Independent Oil & Gas Service, Inc. (IOGsi) is a major, proven source of reliable information when it comes to reporting on the latest oil and gas news in Kansas. Your access to timely, reliable, concise information is a key component in your decision making process. Our commitment is to provide you with the most up-to-date industry reports, news and statistics at a reasonable price. Improve your odds of success with “data you can trust”. 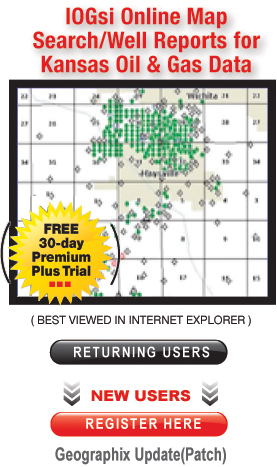 Register today as a “New User” to start a no obligation 30-day trial. IOGsi Weekly Oil & Gas Highlights - There were 21 new Kansas drilling permits this past week. The year-to-date total is 262 permits, compared to 457 a year ago (- 43%).---------- Kansas crude prices dropped by 75¢ / bbl from a week ago with postings for Kansas Common closing at $54.00/ bbl, Southcentral Kansas crude $55.75 / bbl and Eastern Kansas crude $51.25 / bbl. ---------- The total number of active drilling rigs in Kansas (either moving to or on drill sites) was unchanged from a week ago at 28. A month ago there were 24 rigs (+17%), however, drilling activity continues to lag behind same time last year when 38 rigs were active (- 26%). Rig activity in the Western Kansas region totaled 22 with 17 currently on drill sites and 5 other rigs moving to new drill sites. In other news, the Kansas Geological Survey (KGS), Lawrence, KS. reports that oil and gas production in Kansas, compiled through December 2018, is down compared to the same period in 2017. There was 2,754,127 bbls of oil produced in December 2018, compared to 2,850,763 bbls oil in 2017 (-3%). Natural gas Production in the State totaled 16.016 bcf in December 2018, compared to 17.812 bcf in 2017 (- 10%). Copyright 2016, Independent Oil & Gas Service, Inc.